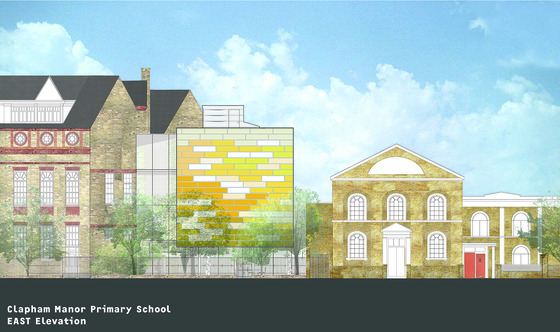 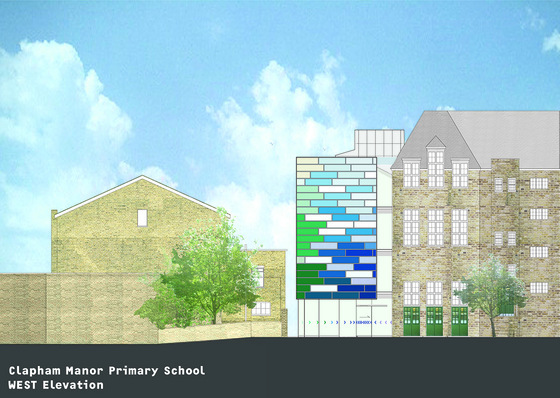 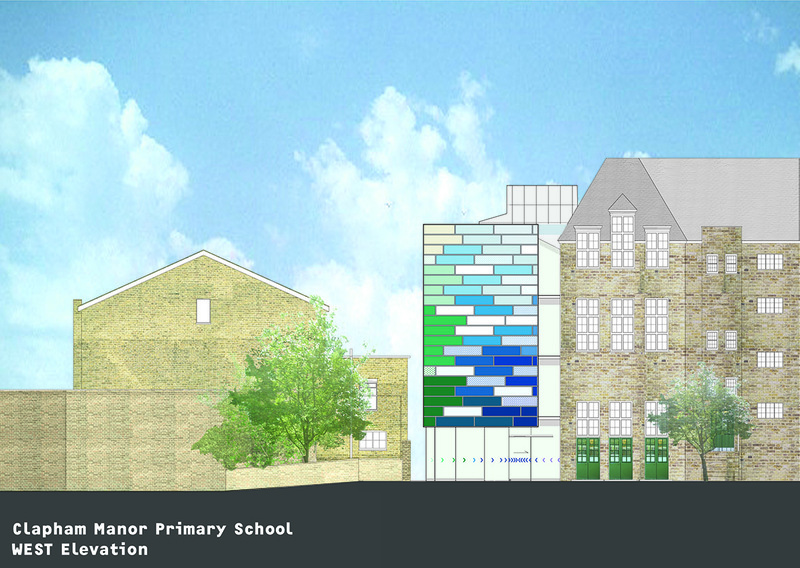 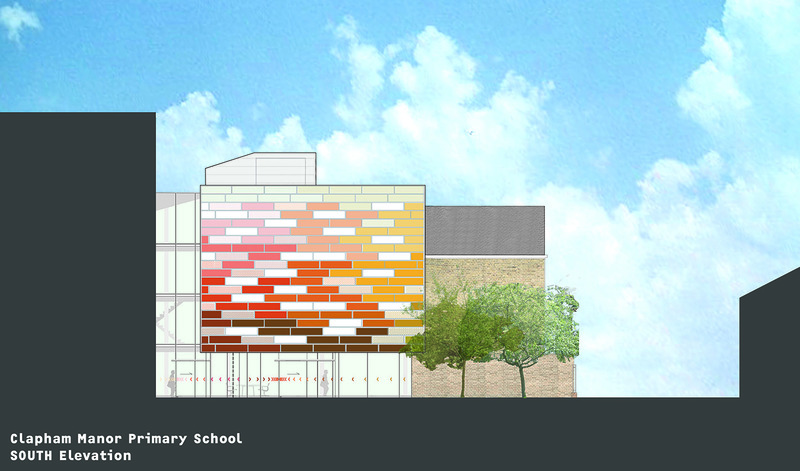 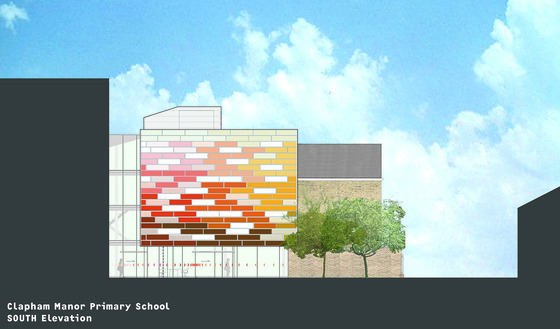 De Rijke’s 2009 building (dRMM partners) is an addition to an existing Victorian Board School inserted into a tight urban context in Lambeth, London. 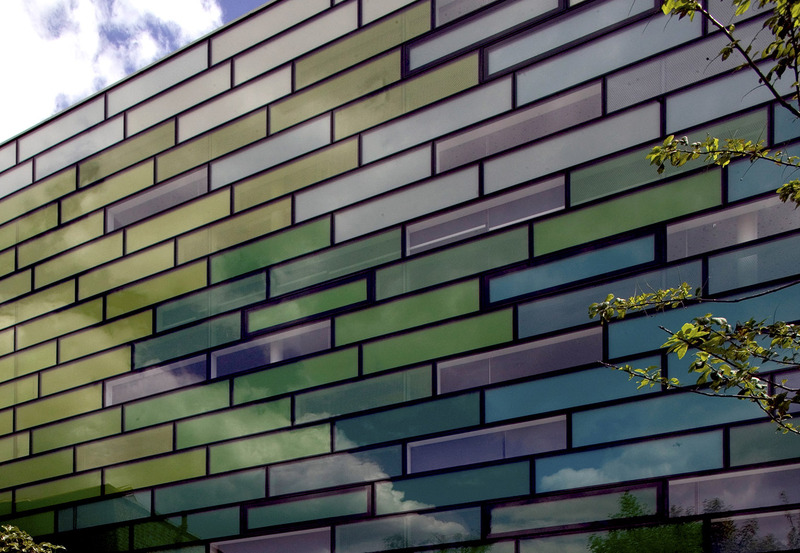 The design required research into contemporarily available colour and the architectural history of colour, and resulted in an award-winning building distinguished by its polychromatic facade. The polychromatic curtain wall performed the practical function of negotiating changes in floor heights between the old building and the new. 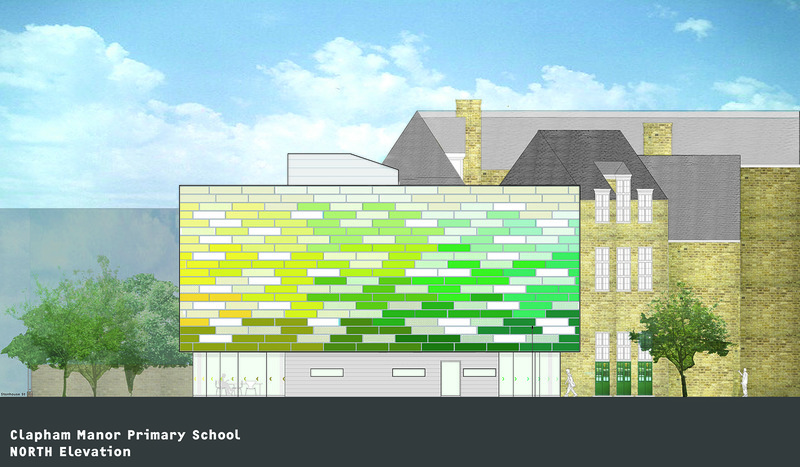 More importantly, however, the curtain wall served, through colour alone, to join the building to its site externally and its programme internally. 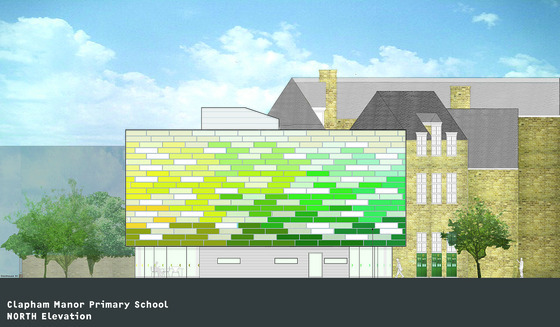 It takes up and extends the colour-based investigations of dRMM’s 2007 Wansey Street housing, which also examined the building-as-colour. 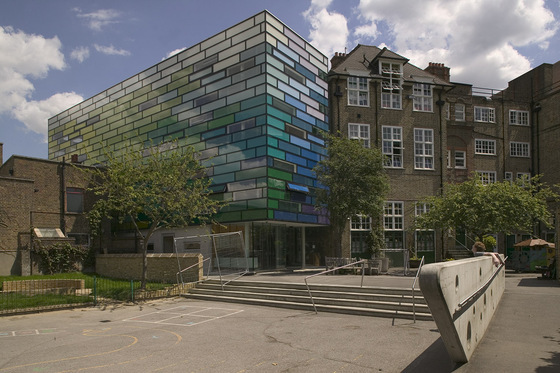 The historical component of the school research placed it within a continuum in which colour in architecture has been alternately suppressed (modernism) and expressed (neo-modernism). 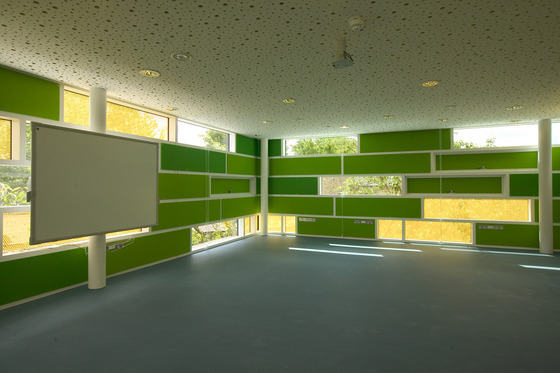 The building is thus a synthesis of research into the space-defining properties of colour and into new building materials able to take and maintain colour when subjected to weather and use. 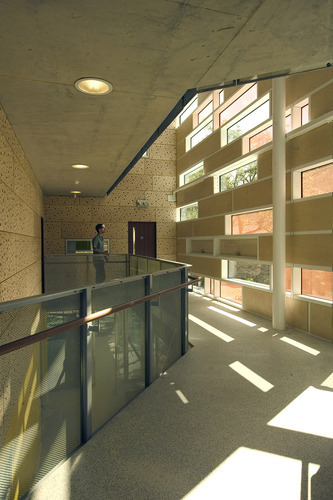 The building won and was shortlisted for numerous awards: Winner, New London Awards – Best Project in Learning Category (2011); Winner, London Planning Awards – Best Built Project in Community Category (2011); Shortlisted, World Architecture News Colour in Architecture Award (2011); Commended, London Planning Awards – Mayor’s Award for Planning Excellence (2011); Shortlisted, RIBA Stirling Prize (2010); Winner, RIBA Award for London (2010); Winner, BCSE Industry Award Judges Award (2010); Winner, BCSE Industry Award – Inspiring Design, Schools (2010); Winner, Civic Trust Award (2010); Highly Commended, Learning Category – World Architecture Festival (2009). 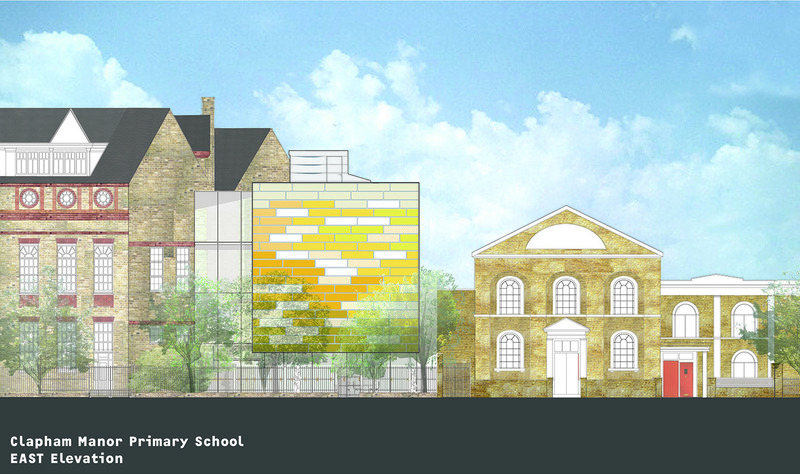 It was reviewed and featured internationally, including: BD Online (2009); Details 18 (2009); The Times (2010); The Guardian (May and October 2010); Architect’s Journal (2010); RIBA Online (2011); ‘New London, NLA’ (2011–12); hg.hu online (Hungary: www.hg.hu/cikk/epiteszet/7743-pedellus-es-bohoc); and Designer and Designing (2009).